What you are about to see isn’t plush. But I couldn’t help myself. 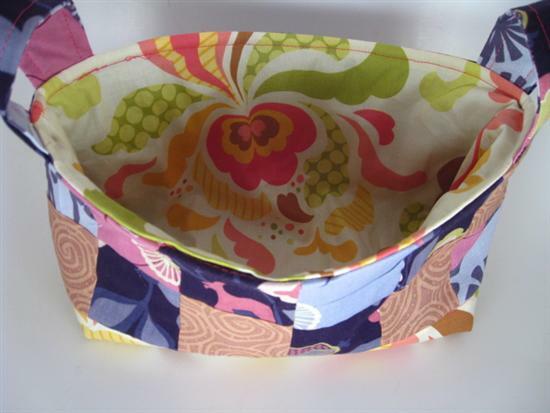 It’s a fabric basket, from an awesome tutorial by one of my favorite new crafty bloggers, AyuMills. I had to tweak some of the measurements a bit, and it came out a bit smaller than I thought it would (Such an adventure is craft!) but as it stands, it can hold a good sized maggot quite comfortably! 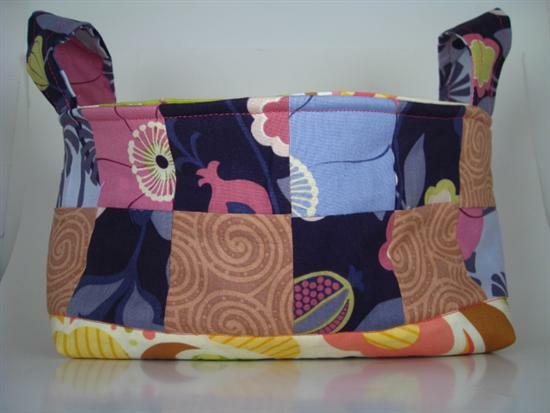 It has a layer of fleece lining, so it’s extra strong and sturdy. It took me two days (about 3 hours) and it was HARD, as I’m not very practiced in working with cotton. One thing I’ve learned is that there is nothing more important to the success of (non-plushy) sewing than an IRON. Very handy.